Andrew will be in Dumfries, Scotland for a Gospel Truth Seminar June 1 – 2, 2019. 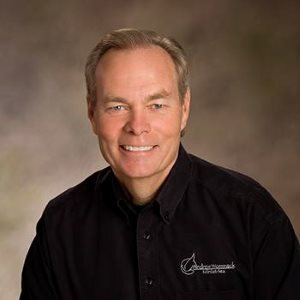 Since 1968, Andrew Wommack has taught God’s Word with clarity and simplicity, emphasizing the unconditional love and grace of God. His vision is to spread the Gospel as far and deep as possible through his daily Gospel Truth television and radio programs, broadcast nationally and internationally, as well as through GospelTruth.tv, his internet television network. Andrew founded Charis Bible College in 1994 and has established more than sixty Charis campuses in cities across America and around the world. He has authored dozens of books, many of which have been translated into foreign languages. Much of his extensive library of materials is available free of charge at awmi.net. Andrew has been married to his wife, Jamie, since 1972. They have two sons and one granddaughter. Times and descriptions of each session.